From our 1971 start, We've come a very long way. Hydro Engineering started in 1971 as an agricultural irrigation company that drilled wells and installed center pivots and pipelines. That same year, Hydro Engineering developed the Hydro Soft Hose Traveling Gun that became popular for irrigation and liquid manure application throughout the United States. 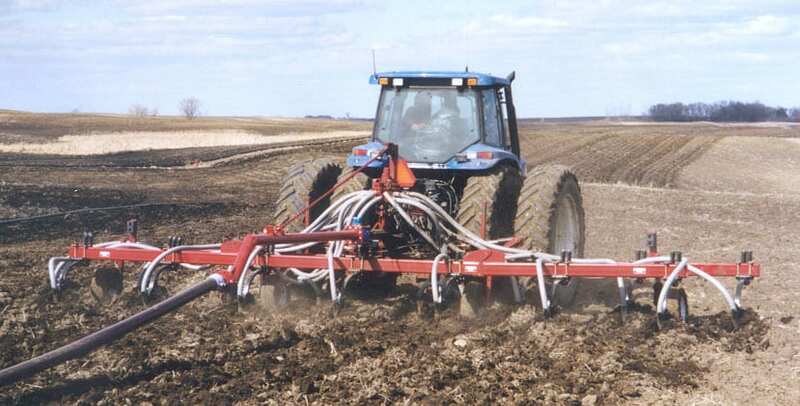 Hydro Engineering developed a complete drag hose manure injection and pumping line of equipment based off the knowledge that was gained by the development of the traveling gun. During the 1980’s, Hydro Engineering became a general contractor for municipal wastewater treatment systems. After working in the municipal industry, Hydro Engineering saw a need to develop products and equipment to not only help with wastewater treatment but also water transfer and emergency response. Also in the 1980’s, Hydro Engineering became a dealer for Lindsay irrigation equipment. As a Lindsay Zimmatic dealer, Hydro’s irrigation division offers a complete package to Hydro’s customers through sales, installation & service of pivot irrigation systems, high capacity wells, and pumping equipment. Hydro Engineering acquired the Rockville, St. Cloud branch in 1989. Since then, Rockville has developed into the irrigation division that handles all irrigation related jobs. Today, Hydro Engineering has progressed into many different markets. Hydro prides itself on it’s ability to develop equipment & solutions that can span through all of it’s target markets. These innovative solutions have allowed Hydro Engineering to expand nationally and internationally and it continues to grow it’s reach every year. Hydro is always looking to grow it’s staff & expand into new markets. It’ll continue to offer one on one support with its customers while its highly talented team develops solutions that has, and will continue to, revolutionize the industries it’s involved in.